The University of Wisconsin System Tenure Policy Task Force will meet tomorrow, Wednesday, December 23 at 2 pm. The meeting will be held in Room 1820 Van Hise Hall, 1220 Linden Drive, and is open to the public. The task force is expected to finalize layoff and post-tenure review language. Current draft language is below. Recommendations from the task force will be forwarded to the Board of Regents Education Committee for consideration at its February meeting. Full board action could happen in March. UW-Madison will hold campus information sessions on the proposed policies in January. State Representatives Dianne Hesselbein (D-Middleton) and Terese Berceau (D-Madison) announced yesterday they intend to introduce legislation that would return strong shared governance to state statutes. Shared governance for faculty, staff and students was changed from a participatory role to an advisory one in the most recent state budget. Hesselbein and Berceau have drafted legislation that uses the same statutory language that had been in place since 1973. The proposed legislation states faculty “shall actively participate in institutional policy development” and gives faculty primary responsibility for personnel issues and academic and educational endeavors on campus. PROFS continues to actively follow the work of UW System’s Tenure Policy Task Force and lobby for the best possible result. PROFS met with Regent Vice President and task force chair John Behling In late November to discuss the University Committee’s proposed changes to the task force draft recommendations and share information on existing post-tenure review practices. The task force will meet again on December 23 and is expected to forward recommendations to the Regent Education Committee for action in February. Full Board of Regent action is expected in March. 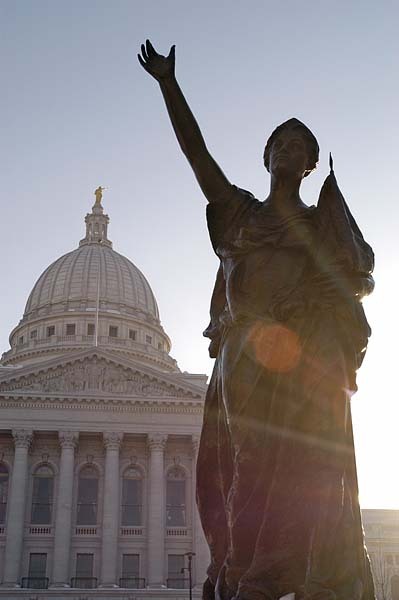 The Wisconsin Group Insurance Board recently discussed a report recommending a change to self-insurance for state employees. The report’s author, Segal Consulting, maintains the switch could save the state $42 million, but in 2012 a different consultant found the change could cost the state $100 million. The board is scheduled to meet and vote on the recommendation in February. 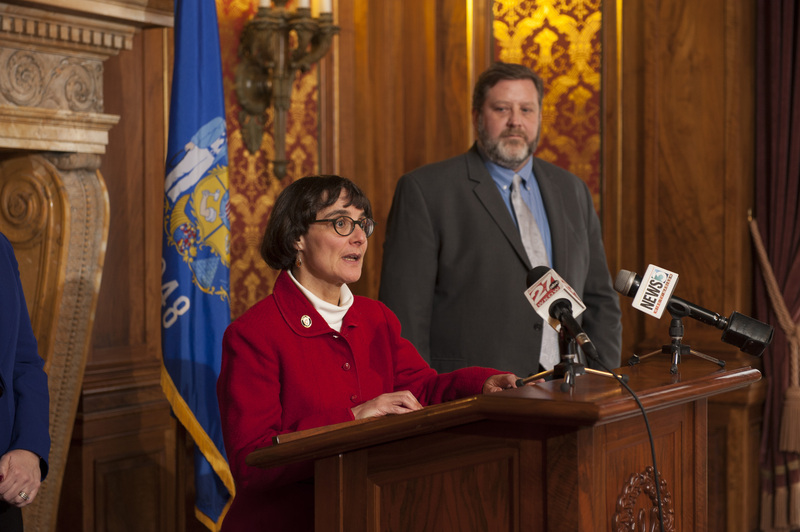 The legislature’s Joint Finance Committee must also approve any change. Currently state employees can choose from 18 insurers, and state employees comprise 14 percent of the state’s health insurance market. Under self-insurance, the state would pay for benefits directly and assume risk. A private insurer would likely be hired to manage the program for the state. PROFS officially registered and delivered testimony against AB 305 and SB 260, proposals that would make it illegal to provide or use for experimentation fetal body parts. If passed, the bills would criminalize the research and use of scientific material previously derived from fetal tissue. Both bills have passed out of committee but have not been scheduled for a floor vote. PROFS will continue to strongly oppose the proposals, which have far-reaching negative consequences on campus. The University of Wisconsin System Board of Regents will meet at UW-Madison Thursday and Friday, December 10 and 11. All meetings will be held in Gordon Event Center, 770 West Dayton Street. Regents meet in committee Thursday afternoon while the full board meets Friday morning. The Business and Finance Committee will consider differential tuition at UW-Stevens Point and an alumni tuition proposal at UW-Eau Claire, discuss trust funds and contractual agreements, and hear a report on faculty and staff salary adjustments in 2015. UW System chancellors reallocated $12.1 million of the salary base for adjustments in 2015. 2,338 faculty received adjustments averaging $5,163. At UW-Madison, 102 faculty members received additional compensation averaging $3,377. The Capital Planning and Budget Committee will consider authorization of a transfer of Vilas Trust funds for the UW-Madison Music Performance Building project, review changes to regent policy documents, and hear a report on State Building Commission action. The Research, Economic Development, and Innovation Committee will hear an update from Wisconsin Economic Development Corporation Secretary and CEO Mark Hogan. UW System President President Ray Cross will also share how UW System is helping with the state’s workforce needs. The Audit Committee will hear a report from the chief audit executive. Updates on the work done by Tenure Policy Task Force and the Tuition-setting Policy Task Force will also be given.